Heathrow Airport is inviting passengers to help build a Lego birthday card to highlight the 10th anniversary of Terminal 5. The activation, taking place today, marks 10 years since the Queen officially opened Heathrow Terminal 5. When finished, the giant model, based on a 10th anniversary logo, will stand 2m tall by 2m wide and will go on display over the Easter school holidays in the terminal's Lego activity area. 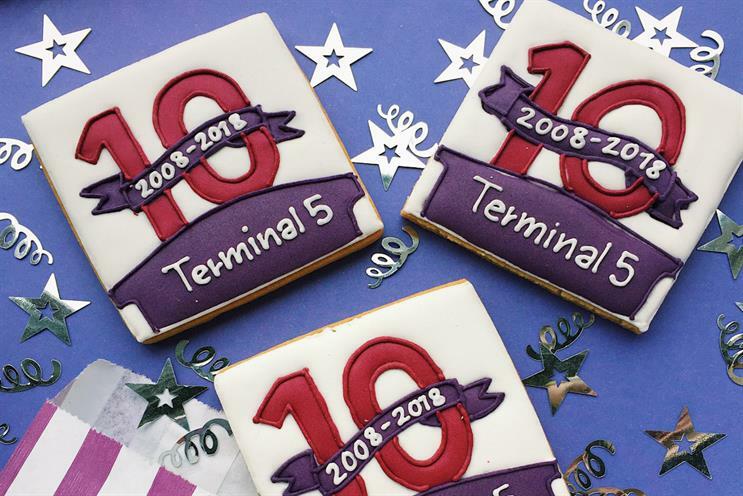 The airport is also offering the first 1,000 passengers that help build the sculpture biscuits from iced biscuit specialists Biscuiteers, designed in the shape of the Terminal 5 birthday logo. To mark the celebration, followers on social media are being encouraged to share their experiences of the terminal. The airport will also be highlighting statistics of the terminal with an infographic created for the anniversary. Retailers and restaurants in Terminal 5 will be joining in the celebrations with a number of special offers, including complimentary tea tastings from Fortnum & Mason and free ramen for the first 50 customers to visit Wagamama.